PORTSMOUTH — Seacoast Media Group, five other news outlets and the state chapter of the American Civil Liberties Union have filed a lawsuit against the Department of Justice seeking release of a list naming 171 New Hampshire police officers who may have credibility problems if called to testify in court. The suit asks a judge to give the case priority status, to schedule a hearing, rule the list is a public record and order the state to reimburse attorneys’ fees and costs for the case going to court. Read more. The New Hampshire Union Leader, five other news organizations and the American Civil Liberties Union are expected to file a lawsuit today that seeks to open up the secret list of police officers who have been red-flagged for credibility, excessive force and other problems. The lawsuit, which is to be filed in Hillsborough County Superior Court-South, challenges the long-standing practice of New Hampshire Attorneys General, who maintain a statewide list. Attorneys General have said the sole purpose of the list is to alert defense attorneys about possible credibility problems of officers who may testify against their clients. Read more. Several news outlets, including the Monitor and the Valley News in West Lebanon, have joined the American Civil Liberties Union of New Hampshire in petitioning the state’s Department of Justice to release an unredacted list of police officers with credibility issues. The petition, filed on Friday in Hillsborough County Superior Court South, asks the court to recognize the Exculpatory Evidence Schedule (EES), formerly known as the Laurie List, as a public document. 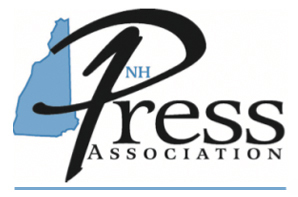 It includes the Union Leader, Seacoastonline, the Keene Sentinel, the Nashua Telegraph and InDepthNH. Read more. The American Civil Liberties Union of New Hampshire and several news organizations, including The Sentinel, are suing the N.H. Attorney General’s Office to gain access to an unredacted list of police officers with potential credibility issues. This summer, the Attorney General’s Office released a version of the Exculpatory Evidence Schedule — sometimes called the “Laurie list” — but redacted officers’ names and some other details. Read more. CONCORD – The Nashua Telegraph and six other news organizations in New Hampshire have teamed up with the American Civil Liberties Union of New Hampshire in a Right-to-Know lawsuit calling for the release of an unredacted version of the Exculpatory Evidence Schedule, also known as the Laurie List. The lawsuit, calling the access of public records into question, was filed Friday in the Hillsborough County Superior Court’s Southern Division. The redacted version of the EES has existed since at least 2004. Read more.